The moment you visit Slots LV casino, see it’s neat design and the friendly interface, you’ll immediately acknowledge that it’s made by people who know their business. And that is correct, since it is a sister casino to Bovada (previously Bodog), the biggest brand on the North American market. The advantage is that unlike Bovada, which incorporates casino, poker room and sports book, Slots LV is dedicated to casino players only, while maintaining the level of trustworthiness and security of it’s bigger brother. If you are focused only on slots and other casino games, this is one of the best destinations you can choose. USA Players: Yes. Except Nevada, Delaware, New Jersey, New York and Maryland. 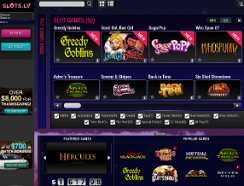 Slots LV features games by 3 software providers, RTG, Rival and BetSoft, which is rarely seen on the US market. Whether you choose to use the downloadable software or jump into the fun with the quick and easy instant-play feature, you will find a great selection of slot machines and other casino games. Rival games is a recent addition (September 2015) and it brought the total number of casino games that Slots LV has to offer to over 400! Wide range of 3 reel classics, 5 reel video slots, RTG’s Mega progressive slots such as Jackpot Pinatas and Aztec Millions, which offer $1,000,000 and higher jackpots. 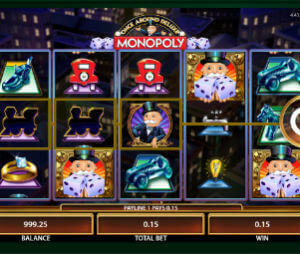 Over 140 Rival slots, including the popular i-Slots, such as Reel Crime and As the Reels Turn. Finally, the famous BetSoft 3D slots, with their amazing graphics and bonus features. All popular casino games: 20+ table games such as Blackjack, Roulette, Craps and Baccarat and over 40 variations of Video Poker. Slots players can enjoy a $5,000 Welcome Bonus. 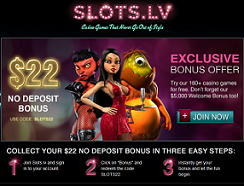 Your first 2 deposits will be tripled by a 200% up to $1000 Slots bonus. While your next 6 deposits will be double up to $500 bonus per deposit. Just enter the bonus codes that you see below in the cashier and your account will be credited automatically the second that the transaction is complete. The wagering requirements are x35 bonus and deposit. The bonus is valid only for slots, keno and scratch card games. If you like to mix things up, you should use the $2,000 table game bonus, including 100% up to $500 on your first deposit. The moment you sign up to Slots.lv you automatically become a Silver VIP and start earning Reward Points, which you can later convert into cash rewards. For higher rewards, you can get upgraded to Gold or Diamond VIP status, depending on how much you play. Nice free chip that you can get just for liking Slots.LV Facebook page. All you need to do is click Like and then send your username to the support and your account will be credited with a $10 Free bonus. Although Slots LV is a relatively new online casino, it delivers similar strandards as Bodog and Bovada, which have been serving players for almost 20 years. In our opinion, Bovada and Slots LV get a perfect 10 in terms of safety and trust. There are various deposit and withdrawal methods. The withdrawal processing period is 4 to 7 days which is good for the US market. The casino is available on all mobile platforms. The variety of mobile games that most online casinos offer is still limited, especially US mobile casinos. That’s not the case here. Slots LV offers double amount of mobile slots and other casino games than any other US casino. Not all 200+ casino games are available, but it’s more than enough. You can check our full Slots LV mobile casino review. New and existing players can enjoy a special Mobile bonus. All you need to do is wager $100 on your mobile device during one week (Monday to Sunday).and you will get $10 Free bonus. If you are looking to play slots, poker, bet on sport events or horse betting – Slots LV is not the place and you should choose its sister brand Bovada. If you are strictly a casino fan, you won’t find a better place than Slots LV.